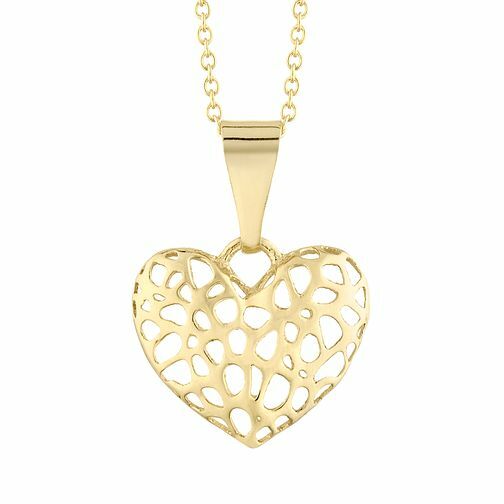 Make a delicate and sentimental symbol of love with this pendant from The Gold Collection, featuring a three dimensional heart-outline for a fashionable and romantic gesture. 9ct Yellow Gold 3D Cutout Heart Pendant is rated 5.0 out of 5 by 1. Rated 5 out of 5 by Anonymous from Good quality necklace Bought this necklace in the sale, looked as it did online. Easy ordering process and pick up was simple.